The initiative started off as a desktop-only perk, with users able to right-click on a track and select ‘Show Credits’ from the options menu for information on performers, songwriters and producers. Efforts are being made to complete missing credits, which will come directly from publishers, songwriters and societies in the near future, according to an Instagram post from composer Alfons Karabuda, who is Chairman of the European Composer & Songwriter Alliance (ECSA). He said that plans are also on the way for additional ways to correct or provide more details for additional credits. 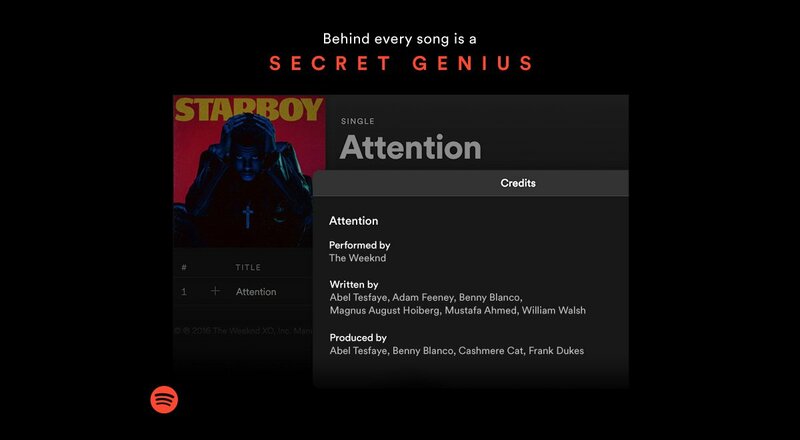 ‘We realize some of the label-provided credits are incomplete or may contain inaccuracies, but this is just the first step in displaying songwriter credits on Spotify,’ the company said in a blog post back in February. MBW strongly called for Spotify to adopt songwriter credits on its platform in September last year. We pointed out that the firm’s ‘Secret Genius’ program, which ostensibly celebrates composers, was likely to prove a troublesome sub-brand for a company which failed to recognise those very same writers within its core product.